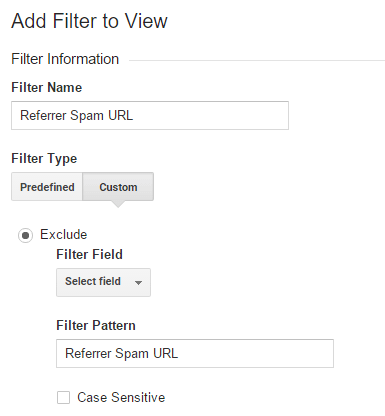 The Petitions.whitehouse.gov referral spam in Google Analytics is a new breed of problem. This page is dedicated to eradicating it from your GA statistics. Referral spam can be a very pesky issue and one of its latest versions – Petitions.whitehouse.gov – definitely takes the cake for peskiness. It’s like an awful guest that comes uninvited, starts going through your stuff, makes a mess out of everything and then refuses to leave. Well, luckily our removal guide would play the role of the police in removing this intrusive ‘guest’ from your property. We will show you how to effectively block the spammers and rid yourself of the nuisance that is Petitions.whitehouse.gov . But before you rush into applying the instructions in our guide, do spend a minute to read through our article first. The information in it is aimed towards giving our readers a better understanding of the nature of the issue they’re dealing with. This will help you figure out efficient prevention measure and will prevent you from making serious mistakes. Petitions.whitehouse.gov – how harmful is it really? Well, to answer that question, we would first need to draw a comparison between Petitions.whitehouse.gov and another type of referral spam, known as classic referral spam. Petitions.whitehouse.gov belongs to a different subtype called ghost spam. Now, classic referral spam is very difficult to come by these days, as it was almost completely eradicated by Google. However, it was the first kind of referral spam to ever emerge and it had a very special way of functioning. The goal of referral spam in general, regardless of type, is to generate traffic for a certain website (we’ll be calling it the spamming website for the sake of distinction) at the expense of other website owners like you. So, back to the classic referral spam. It would send bots and crawlers over to tons of other websites, so they would in this way initiate visits. The website owners would later be checking their statistics and would notice a series of views from the spamming site. The peculiarity of the visits, though, would be little to no session time, thus a near 100% bounce rate. So, ideally (in the mind of the spammers, of course), those website owners would click on the visiting (spamming) site to check it out. Thus, they will have generated traffic for the spamming site and the spammers would be happy. This was all fine and dandy until Google caught up with the practice and was able to finally put a stop to it. However, this triggered the birth of ghost spam, as people were trying to find a way to bypass Google and come up with a better solution. And they did. So, in the case of instances like Petitions.whitehouse.gov , the spammers don’t send any bots to the targeted websites. In fact, they don’t even visit them at all. As opposed to that tactic, they just go to your Google Analytics stats and manipulate the data in them so that it will appear as though your website has been visited by the spamming website. And now for the initial question regarding the harmfulness of this practice: Petitions.whitehouse.gov is to an extent rather harmless. If we compare it older versions of referral spam, it causes less issues, as it doesn’t affect your actual traffic count and other aspects of your site. Only your stats show false info, which over time, however, can turn into a bigger issue. Nobody would want a completely twisted picture of their site’s popularity, right? That’s why it’s best to undertake adequate actions to counter the spammers, such as those shown in the guide below. If you resort to different solutions that may be recommended to you online, things could possibly become a lot worse. By that we are specifically referring to the Referral Exclusion list. It’s a useful GA tool, which, however, was never meant to deal with Petitions.whitehouse.gov and its cousins. By entering the spammers in the list, you will basically be asking for GA to mark all those visits you’re reporting as real traffic. And that’s exactly what GA will do. So, in order to avoid things becoming that ugly, don’t listen to anyone saying that this might be a good idea. Instead, you would be better off exploring better hosting options. Upgrading to a more sophisticate hosting service will provide you with better protection mechanisms, from spammers and hackers alike. Think of it as an investment in your security and peace of mind. 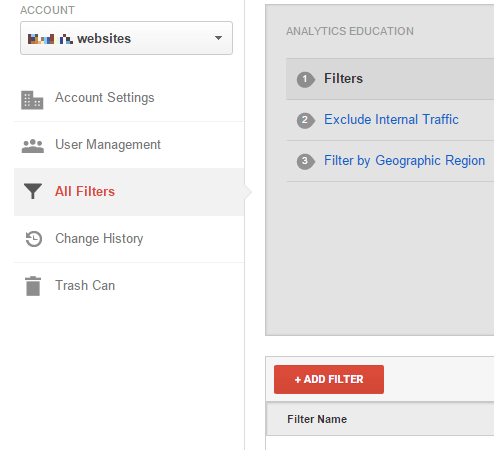 STEP 2: Next, click New Filter and add Petitions.whitehouse.gov in the Filter Name value. STEP 3. Select the Custom Filter Type. In the Filter Field —> Campaign Source. In the Filter Pattern text box, add Petitions.whitehouse.gov and click the Save button at the bottom of the webpage.